NextGen Climate Action and Pinnacle West have spent millions over Proposition 127, a ballot initiative that calls for Arizona to dramatically increase its renewable energy mandate. Navajo Nation leaders have come out in sharp opposition to Proposition 127, saying that the mandate would essentially eliminate many of the energy jobs they depend on. Carlyle Begay, a Navajo Nation leader and former Arizona state senator, didn’t hold back in his criticism of the backers behind the initiative, whom he says did not consult with tribal leaders in drafting the proposal. Arizona voters will head to the polls on Tuesday to decide the fate of Proposition 127, a ballot initiative that would mandate utility companies acquire half their electricity from renewable energy sources, such as wind and solar, by 2030. The proposal would amend the state’s constitution and be a sharp increase from its current renewable mandate — which stands at 15 percent by 2025. The fight over Prop 127 pits two forces against each other: Steyer and Pinnacle West. Steyer, a billionaire environmental activist from California, has funneled upwards of $18 million to promote the initiative through his own national organization, NextGen Climate Action. Pinnacle West — the parent company of Arizona Public Service, the largest electric utility company in the state — has spent more to oppose it. “Our frustration, from the Navajo Nation’s perspective, is the devastation that this would mean, socially and economically, for those in Arizona and to the Navajo Nation specifically,” Carlyle Begay said in a conversation on Oct. 23 with The Daily Caller News Foundation. Begay is a prominent member of the Navajo Nation reservation. He served in the Arizona state Senate from 2013 to 2017, making a name for himself as an independent-minded legislator. Begay now serves as a spokesman for Navajo Nation as its leadership fights against Prop 127. “Our Navajo Nation economy is largely based on our natural resources that bless our lands. These resources provide essential government functions for our people and represents thousands of high-paying Navajo Nation jobs,” Begay explained. A state constitutional amendment essentially ending many of the fossil fuel-related jobs in Arizona would have a substantially greater impact on the Navajo community, where members suffer from an unemployment rate above 40 percent. 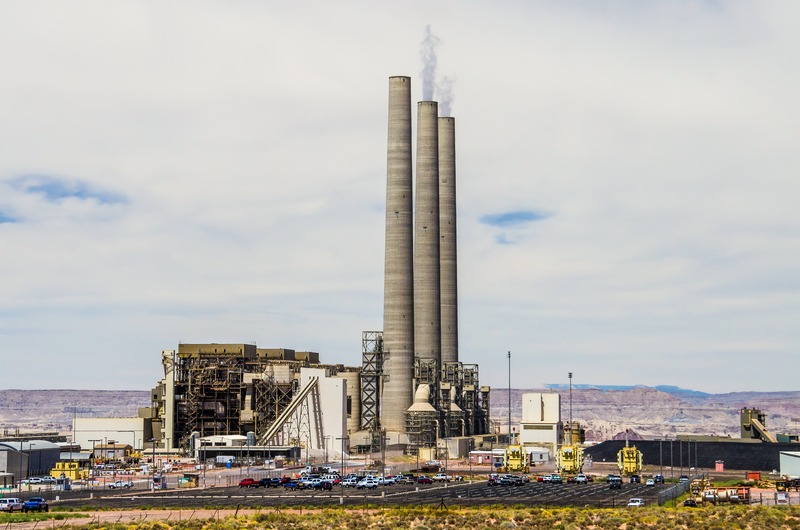 The Navajo Generating Station (NGS) and the Kayenta Mine –which supplies NGS with coal — alone make up 20 percent of the Nation’s revenues, Begay said. The Navajo are even running attack ads, with one woman featured in the commercial saying their community “could lose it all” if Prop 127 passes. For the people who make up the Navajo Nation, their sovereignty reigns as one of the most — if not the most — important aspect of their community. Their reservation enjoys a large degree of autonomy from federal and state laws, and they elect their own members to serve on their council and in other positions of leadership. Navajo representatives do not appreciate that Steyer and other backers of the renewable energy proposal did not consult with them over its wording — despite that it could dramatically impact their way of life. Begay and other tribal leaders have made clear that they are not opposed to wind and solar energy altogether. The Nation has actually made strides in developing its fledgling renewables industry, with the Navajo Tribal Utility Authority opening the reservation’s very first utility-scale solar facility in 2017. However, the Nation is opposed to the process laid out in Prop 127, believing it to be “irresponsible” and a grave threat to their livelihood. The value placed on sovereignty among the Navajo was also very evident when discussing the fate of the Navajo Generating Station. “Any suggestion that there is no pathway for NGS isn’t really true until the Navajo Nation speaks. The Navajo Nation speaker has repeatedly said publicly that NGS is not closed until the Navajo Nation speaks,” Begay said. The Navajo Transitional Company has also been critical in helping other fossil fuel-related jobs that members work in. A spokesman for Clean Energy for a Healthy Arizona, the campaign that is formally backing Prop 127, did not respond to a request for comment from TheDCNF.